On The Road: An out and back to Pine for lunch, got caught in a little rain. Pack your rain gear! FO's: My Crossover Top by Patons, using Universal Yarn Inc. Cotton Supreme Splash in Calm Waters'; I've sewn the front together, sleeves, seamed the sides and wove in ends. I want to cast on all the shawls! 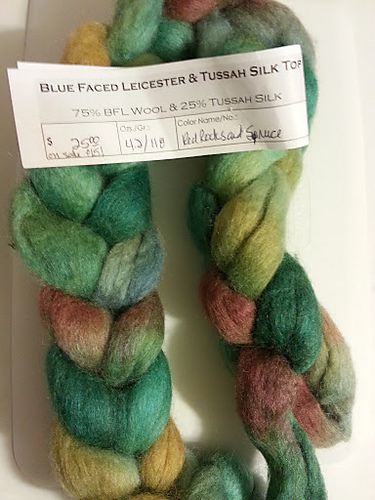 spinning thick/thin on my drop spindle for Tour de Fleece 2015, team spindlers! Queen Fiona's hive is doing ? We have a Ravelry group! Come join us at My High Plains Life Podcast group!